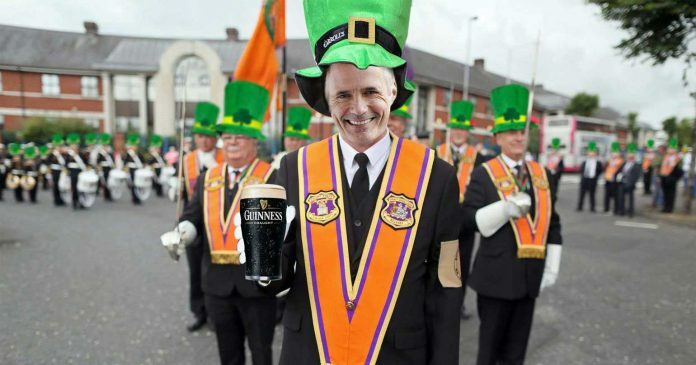 St Patrick’s Day is to be moved to the Twelfth of July in an attempt to find some half decent weather that might allow people to leave the house. The plan follows a series of high level talks between the Orange Order and the Ancient Order of Hibernians, which saw the two sides agree that combining the events was the best option for everyone. The police also back the proposal, with the Chief constable quick to allay any security concerns. “We’re pretty sure that having thousands of people from opposing factions parading around our town centres at the same time won’t cause any bother,” he told us. St Patrick’s Orangefest will begin in 2020, with the spare bank holiday moved to 3rd December, in honour of Eamonn Holmes’ birthday. Plans for a drunken student rampage on “Holmesday” are believed to be at an advanced stage.